Pedro Reyes received a bachelor’s degree in American History and Education and a Ph.D. in Education Policy & Administration from The University of Wisconsin–Madison. Reyes is The Ashbel Smith Professor of Education Policy, Department of Educational Administration, The University of Texas at Austin and Special Assistant to the Chancellor at The University of Texas System. From 1985 to 1986, he served on the faculty at The University of Kansas, Lawrence, after which he returned to The University of Wisconsin–Madison as a member of its faculty, where he stayed until 1990. In 1991, Reyes joined The University of Texas at Austin, serving as a member of the faculty. He was named the Associate Vice Chancellor for Academic Planning and Assessment for The University of Texas System in 2003, where he remained until his appointment as Executive Vice Chancellor for Academic Affairs in 2012. In 2015, he was named Special Assistant to the Chancellor. Reyes is personally and professionally passionate about education research and the craft of teaching. 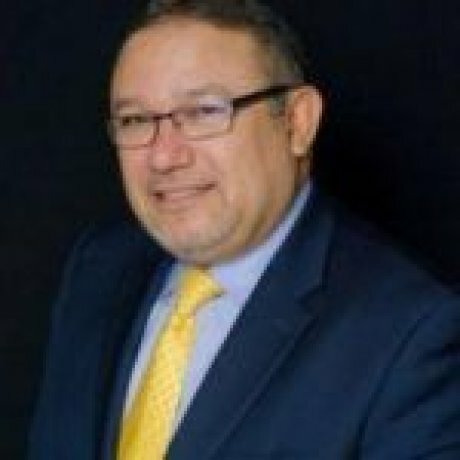 In his writing, Reyes focuses on student success, particularly for children living in poverty, and he has had articles appear in several prestigious journals, including Educational Administration Quarterly, the High School Journal, Journal of Educational Research, and the Hispanic Journal of Behavioral Sciences. He has authored several books, including Resiliency and Success: Migrant children in the US (2004); Lessons from High Poverty High Performance Schools: Creating Learning Communities (1999); and Teachers and Their Workplace: Commitment, Performance, and Productivity (1990). In addition, Reyes has authored numerous scholarly articles, book chapters, and monographs, including a significant number of papers presented at national and international academic conferences, and held positions with many scholarly journals, including Editor of the book review section of Educational Researcher and Associate Editor of the International Journal of Qualitative Studies in Education. Reyes has raised more than 22 million dollars in research development grants from foundations including: The Spencer Foundation, The Annenberg Foundation, the Spencer T. and Ann W. Olin Foundation, the Texas Education Agency, the National Science Foundation, the Houston Endowment, Inc., The Brown Foundation, and the U. S. Department of Education. Professional recognition for Reyes includes several notable distinctions. The National Academy of Education selected him as a fellow. In 2007, he received the Post President’s Award for heading the University Council for Educational Administration, a national consortium of higher education institutions dedicated to improving education administration. Dr. Reyes received the Distinguished Faculty Award from the Texas Association of Chicanos in Higher Education. He has also been named to numerous national committees to review the quality of university programs, such as the Ohio Board of Regents Review for Education Programs. Resiliency and Success: Migrant Children in the U.S. With Encarnacion Garza and Enrique T. Trueba. London: Routledge, 2015. “How does leadership promote successful teaching and learning for diverse students.” With Lonnie Wagstaff. A new agenda for research in educational leadership(2005): 101-118. “Sexism, silence, and solutions: Women superintendents speak up and speak out.” With Linda Skrla and James Joseph Scheurich. Educational Administration Quarterly 36.1 (2000): 44-75. “Creating learning communities for high-performing Hispanic students: A conceptual framework.” With Jay D. Scribner. Lessons from high-performing Hispanic schools: Creating learning communities (1999): 188-210. Pedro Reyes, Jay D. Scribner, and Alicia Paredes Scribner, Eds. Lessons from High-performing Hispanic Schools: Creating Learning Communities. Teachers College Press, 1999. “Teacher commitment and job satisfaction: A causal analysis.” With Hyun-Seok Shin. Journal of school leadership 5.1 (1995): 22-39. “Educational politics and policy: and the game goes on.” With Jay D. Scribner and Lance D. Fusarelli. Journal of Education Policy 9.5 (1994): 201-212. “Educational policy and the growing Latino student population: Problems and prospects.” With Richard R. Valencia. Hispanic Journal of Behavioral Sciences 15.2 (1993): 258-283. “Preliminary Models of Teacher Organizational Commitment: Implications for Restructuring the Workplace.” (1992). “School cultures: Organizational value orientation and commitment.” With Jim Shaw. The Journal of Educational Research 85.5 (1992): 295-302. Ed. Teachers and Their Workplace: Commitment, Performance, and Productivity. Newbury Park, CA: SAGE Publications, 1990.